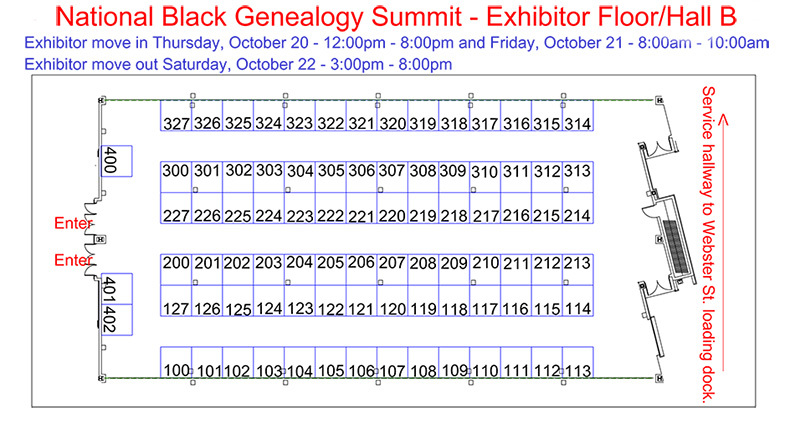 The National Black Genealogy Summit is open for exhibitor registration! This is a great opportunity to get your goods and services in front of motivated genealogists in a great environment. The exhibit hall, located in the Grand Wayne Center, will be open to the public October 21 (9:00am-6:00pm) and October 22 (9:00am-4:00pm). Please download the Vendor Agreement for more information and the registration form.